Written by Scott Mertie; read his account of the Chamber trip to Tuscany here. The Nashville Area Chamber of Commerce just completed its third annual international trip. This year’s adventure took us to the Tyrol region of Austria in September 2018. Previous official Chamber trips have included the Tuscany region of Italy and the Costal Del Sol region of Spain in 2017 and 2016, respectively. Tyrol is a region in western Austria and northern Italy, tucked away in the Alps just south of Bavaria, Germany. Members of the Nashville chamber were paired up with the Carol County Chamber from Maryland to make a total of about 30 travelers. After arriving in Munich we met our local guide and all boarded a bus to Innsbruck, which would be our home in Austria for the next week. Innsbruck is a picturesque alpine town located about 2 hours south of Munich. It has hosted several Winter Olympics over the years. After settling in our rooms at the Hotel Der Reschenhof, which is located in Hall, a small village just outside of Innsbruck, we had the afternoon to explore. Many of us went to the farmers market that was in the Hall town center. That evening, we walked the “old town” streets of Innsbruck, where we found a great local feed scene. We spent our first full day in Austria with an extensive city tour of Innsbruck, including the Olympic stadium and ski jump as well as the Imperial Palace. After the tour, we broke for lunch and then had free-time to explore. Some of the group went to the top of the Nordkette Mountain, via tram and cable car, to see the spectacular mountaintop views of Innsbruck. Innsbruck was also hosting the 2018 UCI Road World Championship bike race the week of our visit. This made for some excitement as we were able to watch the races while sightseeing. 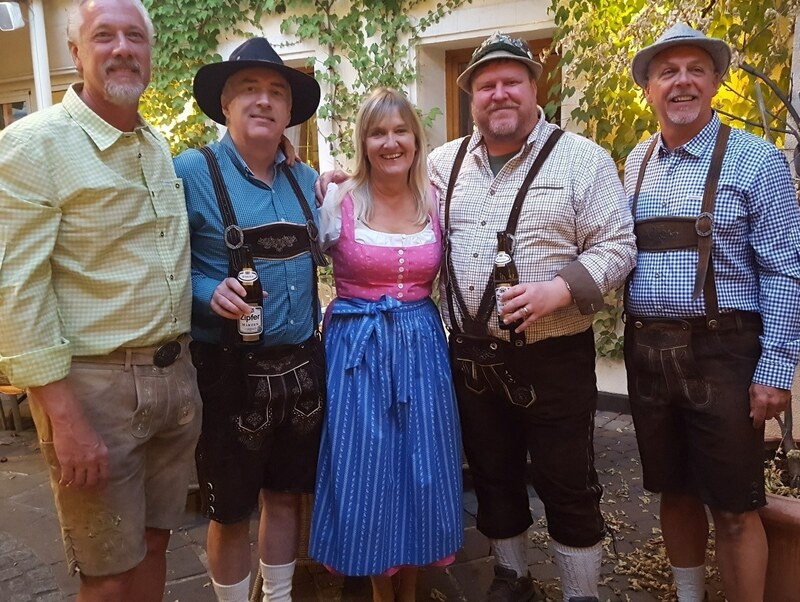 That evening, we all enjoyed a traditional Tyrolean dinner featuring schnitzel and beer, along with folk dancing and music. The second day took us to Salzburg, considered one of the crown jewels of Europe. Some of the sites on our walking tour of Salzburg’s Baroque old town included Mozart’s birthplace, the Cathedral of Salzburg, and various sites from the movie “Sound of Music”. The hills truly were alive in this beautiful city. 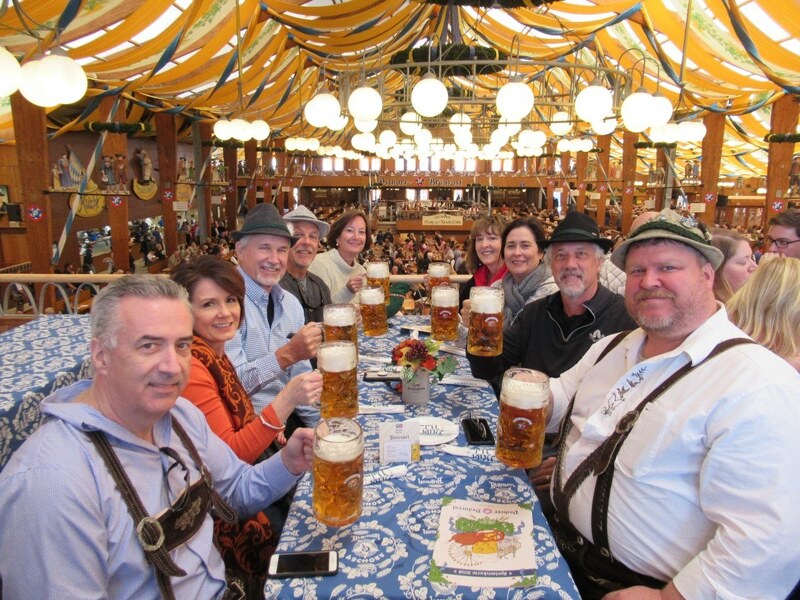 The next day was the day we have all been waiting for – Oktoberfest! Upon arriving in Munich, we took a city tour and enjoyed some of the famous sites of this capital city of Bavaria. Then it was off to Theresienwiese, the grounds of the largest festival in the world. Our friends at the Bavarian Bierhaus in Nashville were able to arrange for us to have reserved seats at the Hacker tent, which holds over 6,000 people! We enjoyed a feast of meats, cheeses, and root vegetables while listening to the band play. Of course a few liters of Hacker-Pschorrr beer was consumed during the festivities. On Wednesday we took a scenic bus trip through the Alps to Northern Italy. Our first stop was Bolzano, where we toured the Archeological Museum containing Ötzi, 5,500 year old mummy that was found preserved in ice of the Ötztal Alps. This was a historically amazing discovery! We then got to spend time in Merano, where we had lunch and enjoyed the scenery of the Italian Alps. 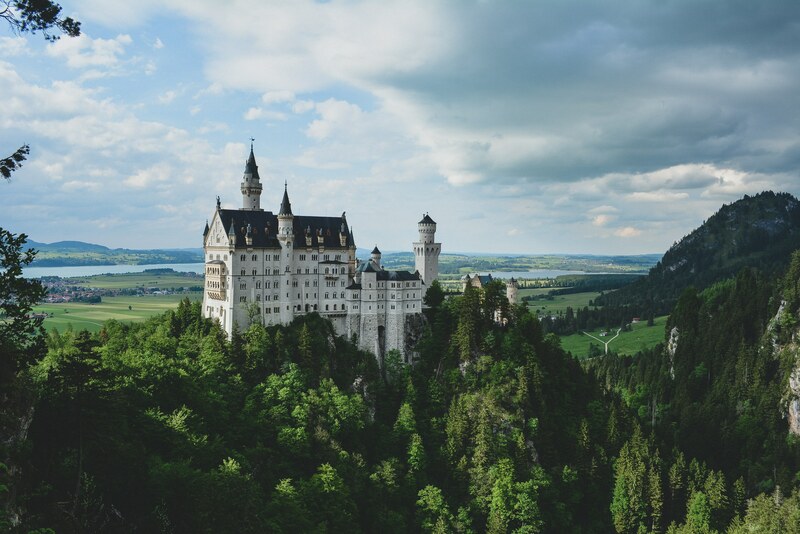 They next day took us back to Bavaria where we toured Neuschwanstein Castle, the fairytale kingdom of “mad” King Ludwig II. The castle was the inspiration of Walt Disney’s Cinderella Castle. We wrapped up the evening with a dinner at a local restaurant in Innsbruck known for its seafood. Our last full day in the Alps took us to the German towns Garmisch-Partenkirchen. Separated by the Partnach River, Garmisch and Partenkirchen were forcibly joined together in 1935, under Hitler’s instructions, to host the 1936 Winter Olympics. Today, the area of Partenkirchen is centered on the quiet, cobblestoned Ludwigstrasse. The narrow street is lined with historic buildings with open wooden shutters and street-facing facades painted in pastel-hued imagery of religious, pastoral and regional scenes. The Garmisch district is more modern and famous for its skiing. Here we strolled through the streets and sampled items from the farmers market. We then drove a bit further in the Alps to Mittenwald, one of the most important violin making centers in the world. It is also famous for its many colorful wall paintings ("Lüftlmalereien"). The facades of many houses are decorated with wall paintings dating from the 18th century and later. We wrapped up our stay Innsbruck with a farewell dinner at the restaurant in the hotel. The Nashville men surprised the group by showing up in traditional lederhosen that was purchase earlier in the week. While some of us flew home the next day, others went on to Vienna to spend a few more days visiting all of Austria’s capital city’s famous sites. Visiting the Tyrol region of Austria was breathtaking. This was truly a trip of a lifetime. Prost!